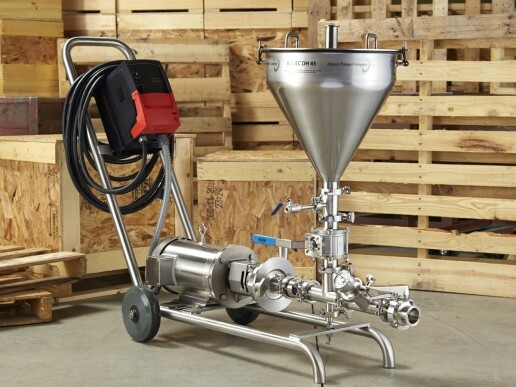 As of summer 2017, BrewFab has become a Master Distributor for Ampco Pumps Company, now able to offer our new and existing customers CB+ Craft Brew Pumps, SBI Shear Pumps, AC+ Series, as well as the ROLEC DH SERIES developed by the Ampco Applied Products division. 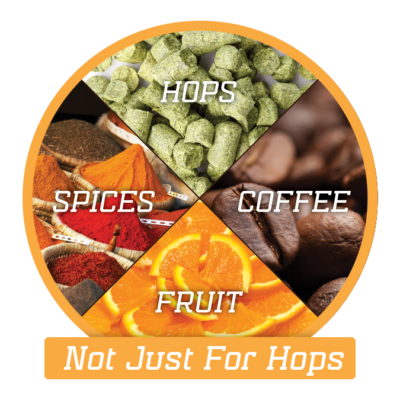 This innovative product line offering was specifically designed to help the craft beer market meet its remarkable growth potential. 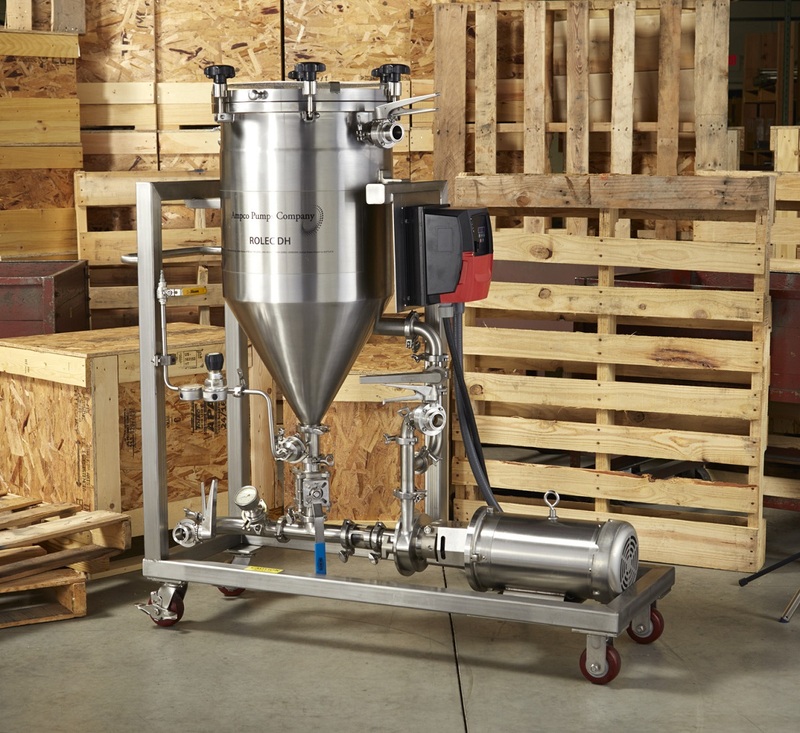 The ROLEC DH45, ROLEC DH90 and ROLEC DH250 models offer small to large scale breweries a safe and efficient way to dry hop beer. Manufactured and Assembled in U.S.A. 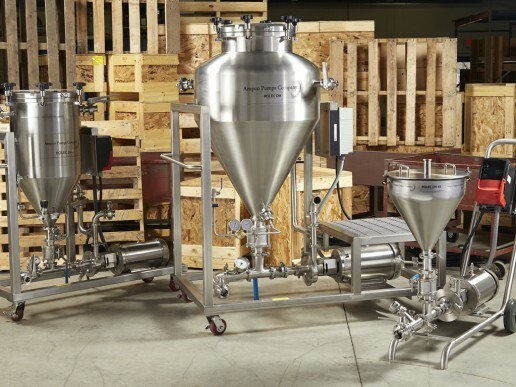 The ROLEC line eliminates breweries safety concerns of dry hopping on a ladder at the top of a two-story fermenting tank. These fully portable DH systems powered by Ampco’s in-line SBI shear blending pump are used at ground level. The SBI pump recirculates the fermenter while inducing dry hops directly into the stream of beer; all from an oxygen free environment. The DH90 and DH250 are built with a pressurized carbon dioxide chamber to mitigate oxygen intrusion. The DH45 is a smaller scale version offering a non-pressurized vessel utilizing a “blanket” of CO₂ to protect the product from oxygen intrusion. 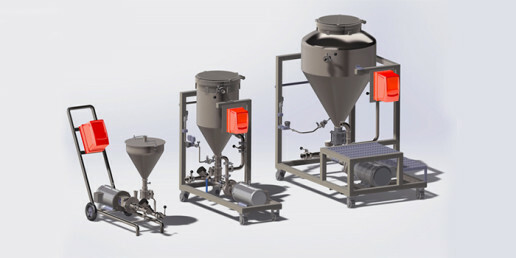 The ROLEC DH units are not just for hop induction, they can be utilized to induce fruit, coffee, spices and much more. The induction options are limited only by the brewers creativity. 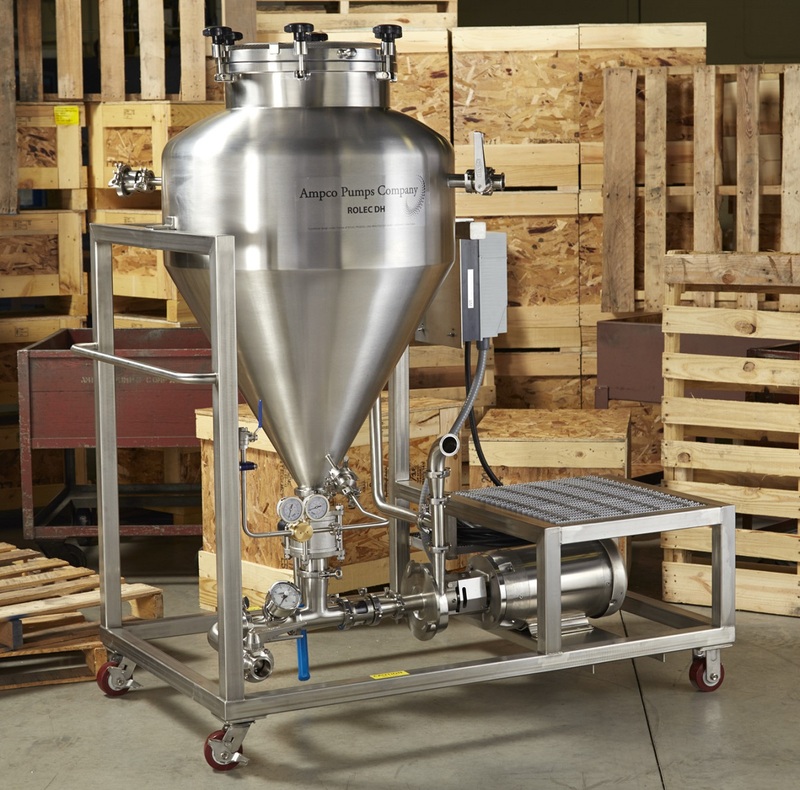 The SBI-R00 is a unique and portable hop blending unit for fermenter recirculation with tremendous advantages over conventional cellar carts. 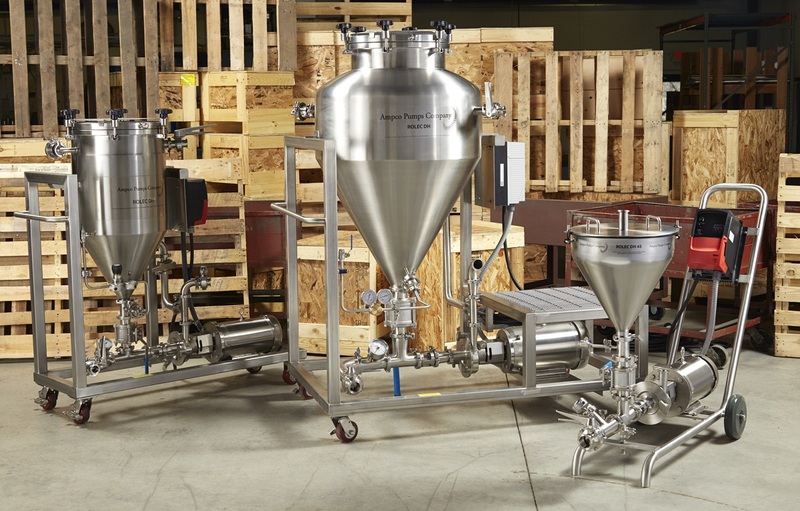 Small scale brewers now have the ability to improve hop yield and increase surface area. The SBI-R00 chops hop pellets while simultaneously recirculating the fermenter. The process uses a 1.5HP motor and VFD which can be operated using 115V single phase power. 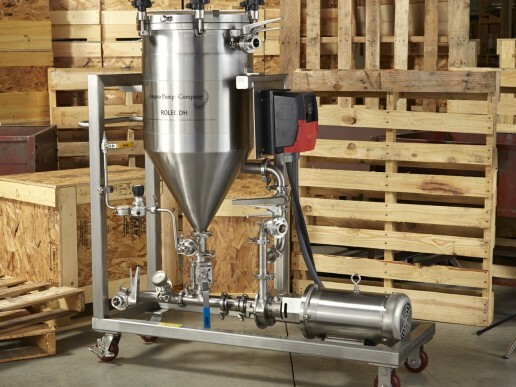 Based on tremendous market response to the ROLEC DH 45/90/250 dry hop systems, the SBI-R00 was developed to make it possible for small batch brewers to enjoy many of the same benefits realized with the larger systems including decreased tank time, improved flavor profile and increased shelf life. 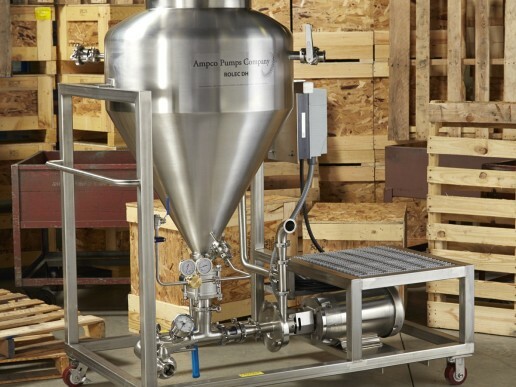 Ampco’s CB+ Craft Brew Pump was developed specifically for the craft brewing industry to allow brewers to focus on creating their next signature beer rather than deal with leaking pumps. The CB+ features an internal seal design that reduces product build-up and leaking. 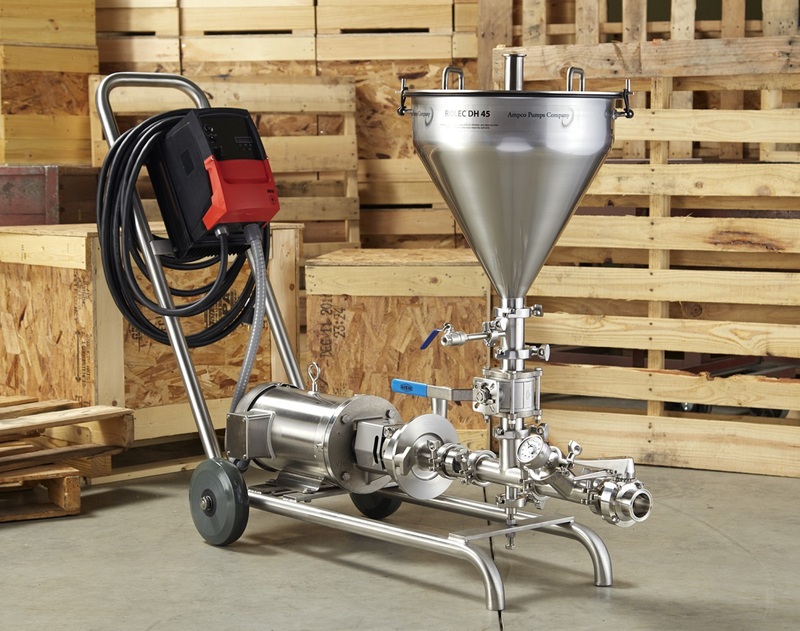 When pumping wort at temperatures near boiling, flashing is likely to occur… which can cause premature seal failure. An internal spring agitates wort solids to avoid pooling on seal faces. 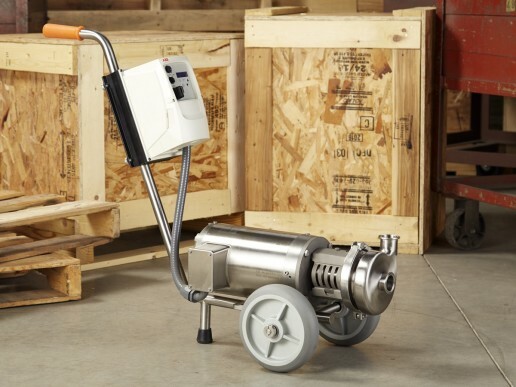 The CB+ Pump is dimensionally and hydraulically interchangeable with the AC, AC+, and competitor C Series pumps. CB+1 Conversion Kit: AC+ to CB+ with a simple seal and back-plate replacement. 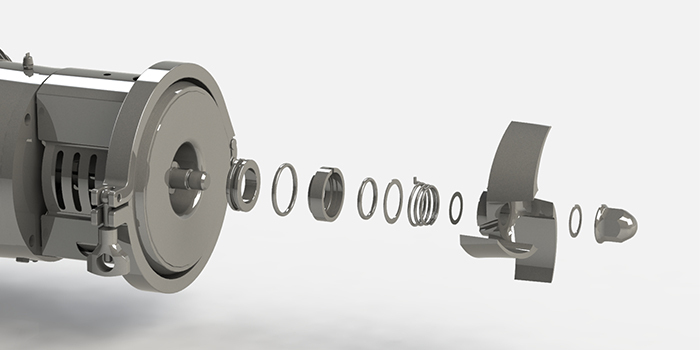 CB+2 Conversion Kit: Converts AC and competing C Series pumps to CB+ by replacing the seal, back-plate, stub shaft, collar, O-ring, and impeller nut.